Eastern Mojave Vegetation Bear finishing lunch. The Pumice Flat campground is along the San Joaquin river. Nice place for lunch. 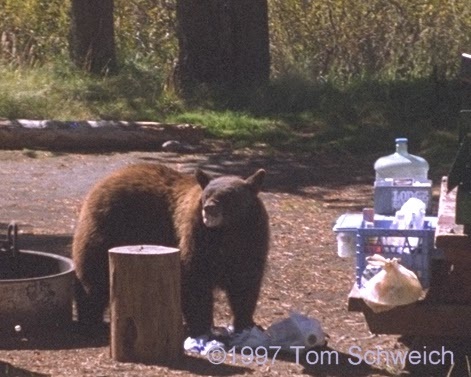 This bear had Bisquick and Wesson Oil. California Highway 203 - Eastern Sierra: Pumice Flat Campground. Other photos about Zoology or Mammals.